UK Foreign Secretary Boris Johnson said that the United Kingdom urges the authorities of the Iraqi Kurdistan region, which thrives for independence from Iraq, to refrain from their plans to hold a referendum on the issue. LONDON (Sputnik) — The United Kingdom urges the authorities of the Iraqi Kurdistan region, which thrives for independence from Iraq, to refrain from their plans to hold a referendum on the issue as it will negatively affect the ongoing fight against the notorious terrorist group the Islamic State (ISIL or Daesh), UK Foreign Secretary Boris Johnson said Monday. 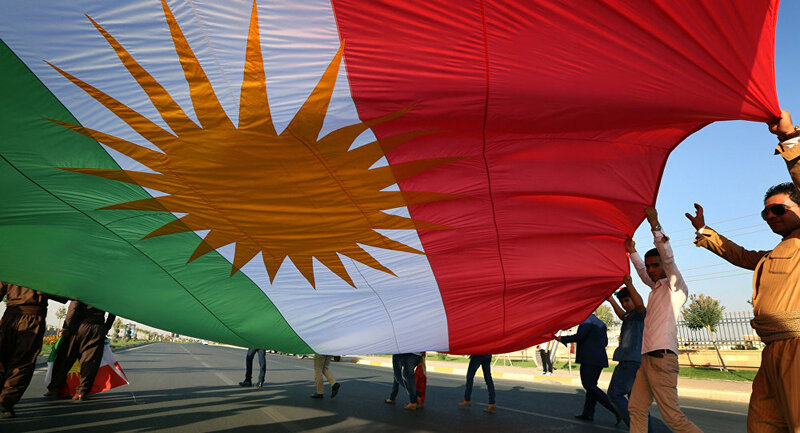 On June 7, Masoud Barzani, the president of Iraqi Kurdistan, announced the intention to hold a referendum on independence of the region on September 25. "We understand the aspirations of the Kurdish people and continue to support them politically, culturally and economically within Iraq. But a referendum at this time will distract from the more urgent priorities of defeating Daesh, stabilising liberated areas and addressing the long-term political issues that led to Daesh’s rise," Johnson said in a statement. The foreign secretary stressed that the referendum or any other initiative on region’s independence should first of all receive the approval of Baghdad. "Unilateral moves towards independence would not be in the interests of the people of Kurdistan Region, Iraq or of wider regional stability … We urge all parties to engage in dialogue to deliver a better future for their people on the basis of the Iraqi Constitution," Johnson underlined. Last week, Iraq, the United States, Germany, Turkey and Iran also opposed the plans of the Iraqi Kurdistan on the referendum. The Kurds, making up about 20 percent of the Iraqi population, have been seeking self-governance for decades. In 2005, Iraq’s Constitution recognized Kurdistan as an autonomous region, run by the Kurdistan Regional Government, therefore making Iraqi Kurdistan the only autonomous region of the country.